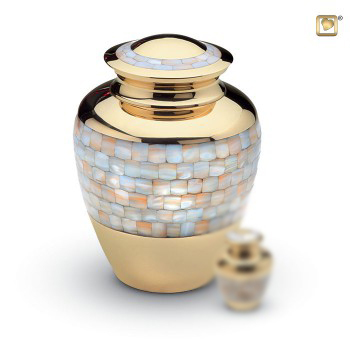 Beautiful Adult Brass Urn with Mother of Pearl inlay by LoveUrns®. Tiny pieces of Mother of Pearl are hand cut and hand-placed one at a time with perfect alignment. 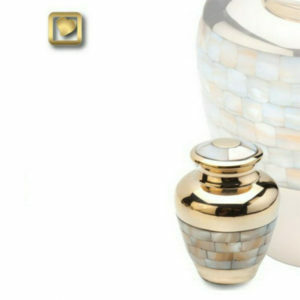 Glossy polished brass Urn protected with GlossCoat™ technology. Handcrafted with love by LoveUrns®.